He told the Army Times: ‘The Army is not going to set a bomb like that and run away and leave it, because they don’t know if someone else would get ahold of it. Fortunately the bombs were never used in actual combat. 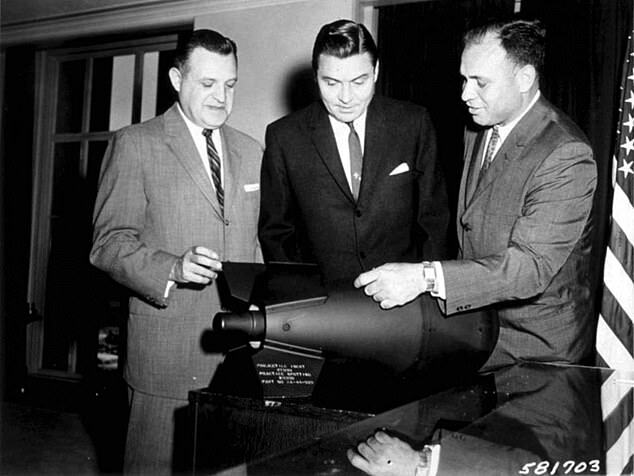 SADMs were just one of several bizarre nuclear devices created by America during the Cold War as a deterrent to Soviet invasion, Foreign Policy explained. At the time, Russia had a much larger and better-equipped army than both America and NATO, so the US knew that in the event of a war it would likely have to rely on nuclear arms to level the playing field. 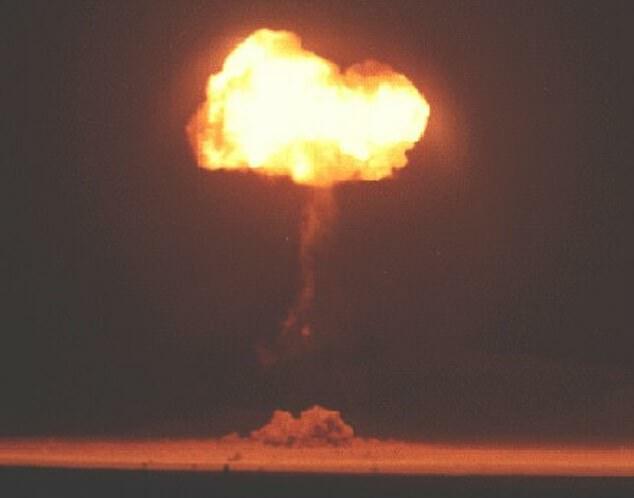 But firing a full-scale nuclear ICBM could easily escalate any conflict into a potential Armageddon, so a range of smaller devices were created to provide a more measured response. 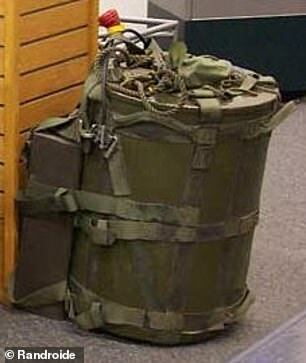 The backpack bomb, known officially as a W54, created a blast that could level two streets of houses, equivalent to about 10 tons of TNT. Later versions were scaled up to around the size of a two-gallon oil drum and had a yield of around 250 tons of TNT. 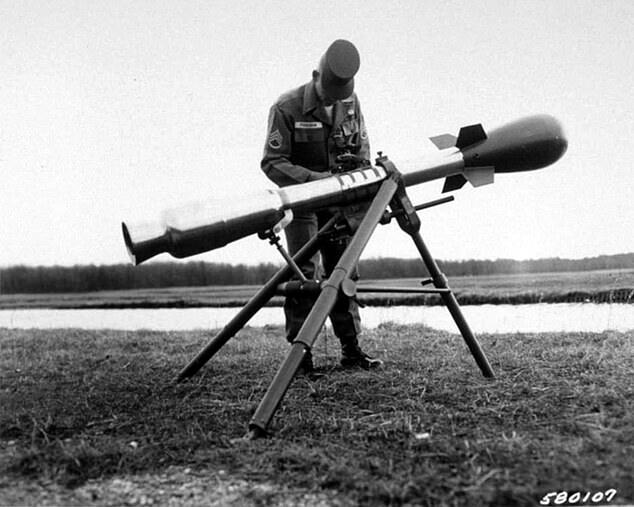 Another version of the W54 was the Davy Crockett – a nuclear warhead launched from a bazooka-type device. Again the weapon was never used, partly because the blast radius was larger than the trajectory, meaning that firing the weapon meant certain death for the soldiers using it.